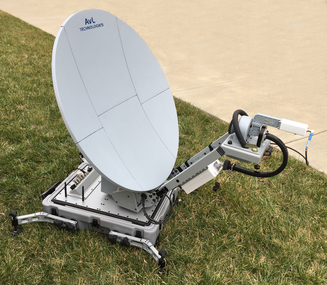 The AvL Model 824i 85cm highly-integrated satellite communication system is engineered to accommodate the AvL AAQ auto-acquisition antenna controller and customer-specified RF and modem components. This auto-deploy FlyAway antenna offers optional 1.0m and 1.2m multi-band configurations. Questions? Email an AvL representative here or call an AvL representative at +1 828 250 9950.